Brad Underwood has left Oklahoma State. That is a surreal thing to type, but it’s true. Underwood jumped ship after one year for Illinois. There are a number of reasons why this probably took place, but money (as always) is probably the foremost. We know Brad Underwood made $1 million this past season and was scheduled for $100,000 raises in each of the next two seasons. We also know Illinois just more than tripled that. Not only that, but Illinois had to pay OSU a $3 million buyout just to poach Underwood to begin with. Here is Mark Cooper of the Tulsa World. 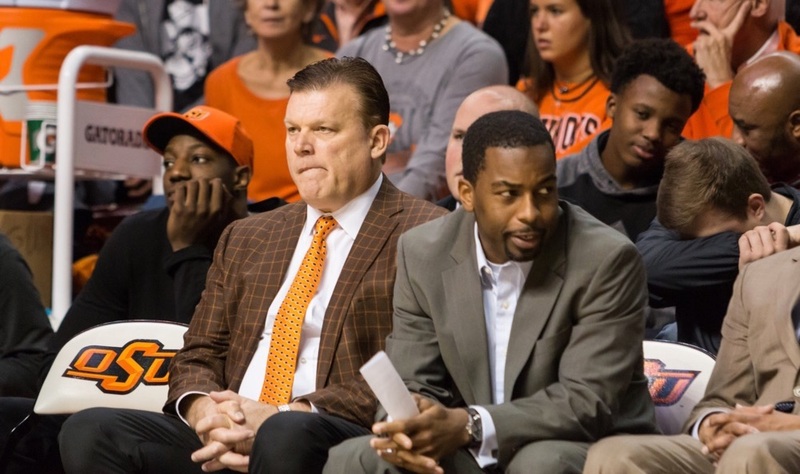 If Underwood leaves Oklahoma State before the end of the five-year deal, he will owe OSU a minimum of $2 million. He would owe $3 million if he leaves for another non-Big 12 job before March 31, 2018. So Illinois will effectively be paying north of $6 million for Underwood to coach next season. The base salary alone of over $3 million would have ranked in the top 12 of last year’s college basketball coaching salaries (the 2017 database has not been released yet). This $3 million a year also would have made Underwood around a top-three paid coach in the Big 12. I believe only Bill Self, Bob Huggins make more. OU coach Lon Kruger and Texas coach Shaka Smart both make around $3 million a year. It is presumed that Jamie Dixon does as well. This was a business decision on both sides. If somebody triples your salary, you go. If somebody wants you to triple their salary right after you just gave the most atrocious contract in the history of college basketball to a different coach, you walk. Neither side is at fault. The money question here — no pun intended — is whether Underwood would have stayed in Stillwater for less than $3 million. It seems like he would, but now we may never know. More importantly, Oklahoma State athletic director Mike Holder should have at the very least put an offer on the table two months ago that Underwood could not have said no to before the suitors came calling. Holder had to know they would come calling, right? He had to know the Kansas State thing was in play and that there would be firings nationally at better schools. He had to know that $1 million a year is sort of an affront to a Big 12 coach, right? That’s the part that will gnaw at you three years from now when Underwood is killing it in Champaign. For the sake of context, Travis Ford was making $2.4 million a year when he was let go last season.